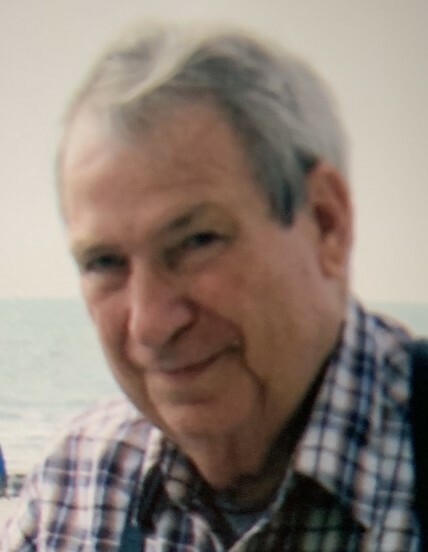 Harold W. Christy, 82, of Bloomington, passed away unexpectedly on Monday, April 8, 2019 at the I.U. Methodist Hospital in Indianapolis. Harold was born in Spencer, Indiana on November 29, 1936 to Carl T. and Goldie B. (New) Christy. He married the love of his life, Betty J. (Hawkins) on April 15, 1954. Harold retired from truck driving, having worked for Moon Freightline and Sam Rees Trucking. He was a member of the Hillside Church of Christ in Bloomington. Harold loved spending time with family, camping, vacationing in the Great Smoky Mountains and reading Western Books. Harold is survived by his wife, children, Roxanna and husband Tony Collier of Bedford, Daniel and wife Kim Christy of Ellettsville, daughter-in-law, Theresa Christy of Bloomington, grandchildren, Misty Kelley, Adam Christy, Krystal Patton, Kailey Christy, Danica Christy, great-grandchildren, Trevor Patton, Travis Patton, Breanna Patton, Kenya Bowles, Soraya Bowles, Rachelle Smith, Skyler Christy, Aidan Christy, one brother, Charlie and wife Joann Christy, and several nieces and nephews. Harold was preceded in death by his parents, one son, Dallas Christy, and one brother, Robert Christy. Funeral services will be 2:00 PM, Tuesday, April 16, 2019 at the West & Parrish & Pedigo Funeral Home, 105 North Montgomery Street, Spencer. Victor Ash and Steve Watts will officiate. Burial will follow in Gross Cemetery. Visitation will be 10:00 AM until the time of service on Tuesday at the funeral home. In lieu of flowers, donations may be made to the family for medical expenses through the funeral home. Online condolences may be made to the family at www.westparrishpedigo.com.